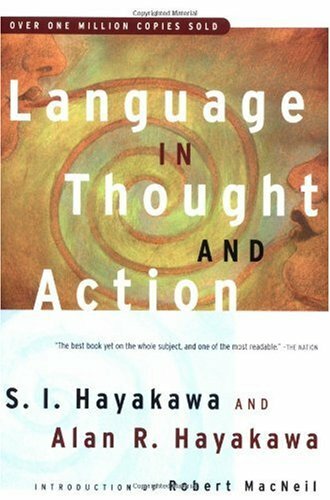 A revised, updated edition of S. I. Hayakawa’s classic work on semantics. He discusses the role of language, its many functions, and how language shapes our thinking. Introduction by Robert MacNeil; Index. For me, this book is near-scriptural because it packs so much truth into such a small space.This book will help you understand how you think and how you use language, and why people talk past each other and disagree about important topics.It explains in entertaining detail many of the fallacies and traps we all fall prey to, and some of the conditions of modern life that make them more pervasive.This is one of those books that will make you wonder how you could live so long without realizing such important and simple things.If you want to examine your own thinking and root out errors--if you want to inject additional rationality into your political beliefs--if you want to raise your immunity to advertising and misleading propaganda--or if you want to write and think more precisely, this book is invaluable. The preface of the book says it was written in "response to the dangers of propaganda", especially Adolph Hitler's.So the book is very much not propaganda.The author prefers to be slow, dull, and thoughtful rather than passionate, engaging and vacant. The book hammers home that language is like a map which, if it's good, reflects reality.Propaganda tries to build a map that is self-consistent and appears good, but is really wrong.The author shows the ways bad "maps" are built and how to not fall for one. The book is worth its price for Chapter 1.This is an attack on the premise that life is a jungle and that we all need to fight each other to survive.The author does a magnificent job of saying that not every animal fights itself to survive and that humans are at our best when we cooperate, for we can do little on our own and even less if we tear each other apart. I'm giving it four stars, because it was a slow trod to read and I feel that the author erred too much on the side of dryness in order to show the book was not propaganda.Although I understand why he did.That said, it is a good and informative book. This book helps the reader think rationally without the usual philosophical impenetrability that accompanies the result.If you are already a rational human, you'll gain better understanding of advertising copy and hype.This book can be a revelation if you haven't seen the concepts presented before, and it is extremely readable (for the field).Recommended. The book I got was in very good condition, and arrived quickly.However, it was not exactly the same Book that I thought I was ordering, which was "Language in Thought and Action".The book I got was "Language in Action" published 1941. Get a better grade in General Chemistry! Even though General Chemistry may be challenging at times; with hard work and the right study tools, you can still get the grade you want. With David Klein's General Chemistry as a Second Language, you'll be able to better understand fundamental principles of chemistry, solve problems, and focus on what you need to know to succeed. Understand the basic concepts: General Chemistry as a Second Language focuses on selected topics in General Chemistry to give you a solid foundation. By understanding these principles, you'll have a coherent framework that will help you better understand your course. Study more efficiently and effectively: General Chemistry as a Second Language provides time-saving study tips and problem-solving strategies that will help you succeed in the course. Easy to Read / Practice Problems have errors? Purchased this in anticipation of enrolling into a college level General Chemistry course, with the intent of 'getting ahead' while I had free time. But as I started working throught the Chapter 1 practice questions, I noticed the answer key had some glaring errors (problems 1.9 & 1.17, for example). I'm literally with in the first 6 pages of the book & I, a novice, am finding mathematical errors? 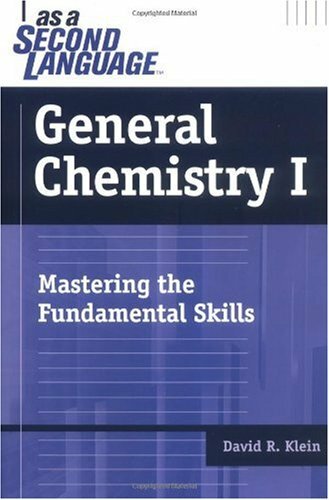 I struggled to understand general chemistry for about a year, my professor recommended this book and it's been so helpful, it's really easy to understand and is such a small and light size you can carry it anywhere. I plan on buying more from the series! I purchased General Chemistry I as a Second Language about 1/4 of the way through the semester, when I realized I really would need as much help as I could get for this course. The textbook we used, Chemistry: A Molecular Approach, isn't bad, but my professor was awful and wouldn't offer any additional insight into what we were learning. I wanted to make sure that I mastered the core concepts necessary to excel in General Chemistry I. This book really stood up to the challenge. I had already seen the glowing reviews for this and the two Organic books by Klein, so I figured it was a safe investment. I worked through the entire book, but where this book really was a masterpiece and was worth its weight in gold was when it came to the final chapters dealing with Lewis structures, resonance structures, and, above all, molecular geometry. Klein shines in this book because he is one of those educators that truly knows his stuff and, above all, has a gift for teaching. He can explain complicated material in a way that makes it sound simple and helps alleviate fears while talking to you on an educated level that doesn't assume you're an idiot. His explanation on resonance structures really drove home the idea for me, bceause I wasn't quite grasping the concept 100% until his peach and pear analogy. If you use this book as a supplement to your course, reading the corresponding chapters as you go along to make sure you grasp the material (and not just leaving it until the last minute to learn chemistry before the final) you can only come out winning in the end. I wouldn't go so far as to say it guarantees you an A, since the difficulty and fairness of the examinations varies from university to university, but if you're interested in LEARNING chemistry, you can't go wrong with this book. You will learn, and you will definitely be thankful to have learned these fundamental skills later on. Note that this book only covers what it deems are "fundamental skills"and is not a complete supplement. For example, my Gen Chem I course covered the quantum mechanical theory of the electron, and this book didn't cover that, but I didn't expect it to. Nor is there much in the way of practice with complex mathematical/stoich questions. I would recommend supplementing this with a book like General College Chemistry by Schaum's, which should have you covered. Plus, there sadly is not a General Chemistry II as a Second Language. I wish there was, but I guess I'll have to make do without Prof. Klein's helping hand until I get to Organic in the fall. On the whole, if you want to guarantee that you understand the fundamental concepts of chemistry, you can't go wrong with this book. $31 may seem steep, but in my opinion, this book was worth every penny for its explanation of molecular geometry alone! Are you serious?What is wrong with the rest of you?There are 3 major errors in the first 35 questions.Ironically it's in the part about the importance of the precision in your answers. Terrible.Returning ASAP. Knowing how to create domain-specific languages (DSLs) can give you a huge productivity boost. Instead of writing code in a general-purpose programming language, you can first build a custom language tailored to make you efficient in a particular domain. The key is understanding the common patterns found across language implementations. Language Design Patterns identifies and condenses the most common design patterns, providing sample implementations of each. The pattern implementations use Java, but the patterns themselves are completely general. Some of the implementations use the well-known ANTLR parser generator, so readers will find this book an excellent source of ANTLR examples as well. But this book will benefit anyone interested in implementing languages, regardless of their tool of choice. Other language implementation books focus on compilers, which you rarely need in your daily life. Instead, Language Design Patterns shows you patterns you can use for all kinds of language applications. You'll learn to create configuration file readers, data readers, model-driven code generators, source-to-source translators, source analyzers, and interpreters. Each chapter groups related design patterns and, in each pattern, you'll get hands-on experience by building a complete sample implementation. By the time you finish the book, you'll know how to solve most common language implementation problems. I bought this book hoping for some help in writing a parser for a simple imperative language with almost 2000 keywords.Unfortunately, I got no help.There is a lot of good advice in this book for writing a compiler or interpreter for a general purpose language with a reasonable number of keywords.If you know ANTLR, it is even better.I guess I'll try Domain-Specific Languages (Addison-Wesley Signature Series) next. 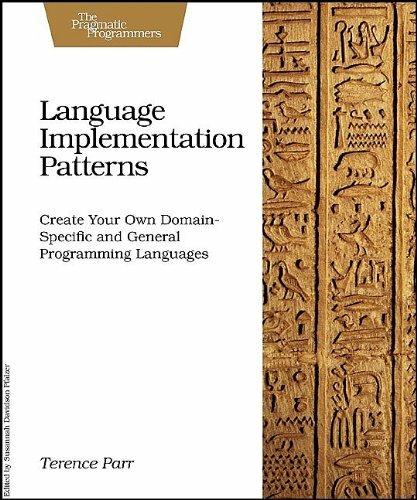 Terence Parr's LANGUAGE IMPLEMENTATION PATTERNS: CREATE YOUR OWN DOMAIN-SPECIFIC AND GENERAL PROGRAMMING LANGUAGES tells how to build file readers, data readers, code generators and more - without a strong computer science background. The author offers insights into common design patterns key to development for Java and other programmers, creating a guide that isn't language-specific, but pattern-oriented. Any programmer's library needs this. I was terribly interested in getting my hands on this book since I'm taking a formal course on Compilers and Interpreters at university and I really wanted to know: What's the difference between what we (as computer scientists) are taught in a compilers' course and the more practical approach presented in the book? As it turns out there's a big difference. If you want to be the ultimate guru of compilers (eg. contributing an even more efficient compiling technique for language X or creating a language that forces us all to reconsider what we know about compilers) you need both, the theory the practice (because without the theory you wouldn't know how to improve or make obsolete an existing technique, and without the practice you wouldn't be able to put that knowledge to work inside a language compiler). Now if you just want to be able to deal with your DSL (domain specific language), create data readers, code generators, source-to-source translators, source analyzers, etc. you'll love the hands on information presented in this book. Let's be honest, how many of us developers are required or willing to create a language from scratch together with its compiler or interpreter versus the ones that just need to parse an XML file, process a DSL or create a configuration file reader? I would say that there are much more developers in the later group. But fortunately we all (or almost all) share one thing in common: we know software patterns! This is how the author structured the book, offering patterns (ala Gamma et al) that you can use when creating your language processors (an excellent approach in my opinion since each pattern focuses on different stages of language processing which helps the developer modularize the solution and understand how the different parts of the "machine" work without loosing sight of the big picture). So, in case you're wondering "what is this guy talking about?". A compiler is a program that transforms code created in one language into another (eg. C source code into executable code). Normally the transformation goes from a higher level language to a lower level language (eg. to machine code)(if it's the other way round we have a "decompiler"). When the transformation happens between languanges on the same level we're dealing with a language translator or converter (normally called "source-to-source translator")(eg. Sharpen, an open source framework created by the db4o team that converts Java code to C#). A compiler is likely to perform several operations such as lexical analysis, preprocessing, parsing, semantic analysis, code generation, and code optimization (which are directly or indirectly covered in the patterns offered in the book). The ultimate tool for developers interested in building compilers is a compiler-compiler or parser generator which, as you might have already guessed, provides a high level description language to help you build your own compiler (this usually involves the creation of a lexer and a parser). However, I feel I should mention that there's a whole lot of complexity in handling and maintaining all the intermediate information when you're creating your own compiler for your own language which is covered only indirectly in this book. There's also no detailed explanation of the final steps of a compiler implementation such as machine code generation and optimization, register allocation, etc. Overall this is an excellent book for day-to-day language applications (involving parsing, translations, etc). Now I find pretty important to mention who the author is. Terence Parr created the ANTLR parser generator (antlr.org) and the StringTemplate engine (stringtemplate.org). He's a professor of computer science that's no theorist (this guys has real practical experience!). He has so much experience that he started to see these patterns when developing language processors coming again and again. The end result is this book that presents a compilation of those patterns. * Getting Started with Parsing: where you'll learn about the general architecture of language applications and review the patterns that involve parsing. * Analyzing Languages: where you'll see how to use the parsing techniques described in the previous section to build trees that hold language constructs in memory, how to walk those trees to track and identify various symbols (such as variables and functions) and how to determine the type of the expressions. Overall you'll learn how to check whether an input stream makes sense. * Building Interpreters: four interpreter patterns are presented that vary in terms of implementation difficulty and run-time efficiency. In the two previous parts the focus was on patterns that verify the syntax of an input sentence and make sure that it follows a set of semantic rules. In this part the focus is on patterns for processing the input sequences (not just validating them). * Translating and Generating Languages: here you'll learn how to translate one language to another and how to generate text using the StringTemplate engine. The patterns are laid in the order you'd follow to implement a language (section 1.2, "A Tour of Patterns" describes how all the patterns fit together). There are 31 patterns in the book, each with four parts: purpose, discussion, implementation and related patterns. The implementation section provides illustrative code in Java (but it's not meant to serve as a library). You don't need a background in language theory or compilers to understand the book but you have to have a solid programming background and be confortable with the concept of recursion in algorithms. I had to read the classic Dragon book in college. I'm glad I did and feel that all software developers should go through the mental process of learning to build a compiler. Doing so ties together all the classes that come before it, from data structures to theory of computation. But, the texts on those subjects are quite dense and not quite practical for the working developer. This book fills that gap quite nicely. It is free of excess jargon and gets right to the point of creating new languages. Each chapter builds up the reader's repertoire of techniques and tools for writing programs that create programs. For a relatively short book, the author does a fine job of covering scanning, parsing, type checking, interpreters, virtual machines and code generation. If you've ever wanted to build your own language but fell short when it came to the theory behind it, this book is the one to check out. Terence has put together a book that is both readable and relevant. In clear, lucid -- even fun -- prose, he demystifies the all-too-often arcane world of language design and processing. While other language processing and compiler books are awash in the theoretical details needed to plumb the depths of the discipline, Language Implementation Patterns gives practical, useful advice on building real-world language processors to solve practical problems. Not content to tilt with cartoon dragons, Terence gives us the armor we've needed all along -- in a way that no Dragon Book ever has. We are all beneficiaries of Terence's design and implementation of ANTLR. His previous book on the same, coupled with this new volume, empower us to solve manifold thorny problems. It's always exciting to add a new tool to one's technical toolbox, and we've now got complete operating instructions for a very sharp and capable one. 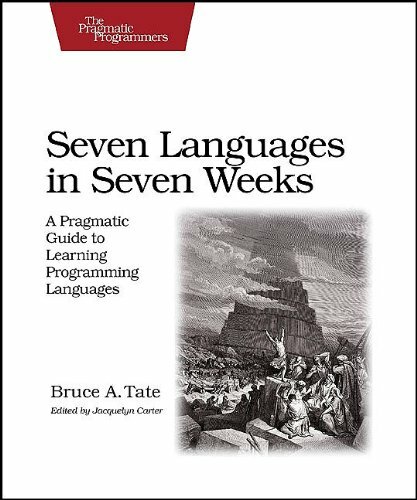 Ruby, Io, Prolog, Scala, Erlang, Clojure, Haskell.With Seven Languages in Seven Weeks, by Bruce A. Tate, you'll go beyond the syntax-and beyond the 20-minute tutorial you'll find someplace online.This book has an audacious goal: to present a meaningful exploration of seven languages within a single book.Rather than serve as a complete reference or installation guide, Seven Languages hits what's essential and unique about each language.Moreover, this approach will help teach you how to grok new languages. For each language, you'll solve a nontrivial problem, using techniques that show off the language's most important features.As the book proceeds, you'll discover the strengths and weaknesses of the languages, while dissecting the process of learning languages quickly--for example, finding the typing and programming models, decision structures, and how you interact with them. Explore the concurrency techniques that are quickly becoming the backbone of a new generation of Internet applications. Find out how to use Erlang's let-it-crash philosophy for building fault-tolerant systems. Understand the actor model that drives concurrency design in Io and Scala.Learn how Clojure uses versioning to solve some of the most difficult concurrency problems. It's all here, all in one place.Use the concepts from one language to find creative solutions in another-or discover a language that may become one of your favorites. 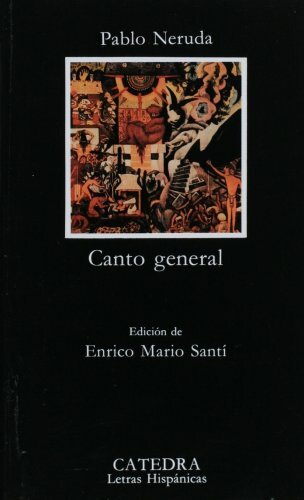 Neruda's Canto General is a poetic retelling of the history of South and Central America from the late pre-Columbian era to the middle of the twentieth century.The book is set up like a novel, with chapters and subheadings, a straight-line narration, and a cast of characters.Neruda's communist ideology is visible throughout the work and is a major theme.Canto General leaves the reader with an interesting impression of American history seen through the eyes of the impoversihed people of South America, as well as an idea of how third-world communists perceive reality.This is truly an excellent work, and should be read by everyone. This is one of Neruda's greatest books. It is a jorney through the history of the American Continent, from its creation, to its conquest until the present day. Most readers will know it from its chapter 'Hights of Machu Picchu' but it is certainly more than that. It is a review of 500 hundred years of history, of war, of love, of betray. Obviously the book is a reflection of Neruda's left wing inclination, but that only adds to the book. by a Review of General Semantics. Etc. 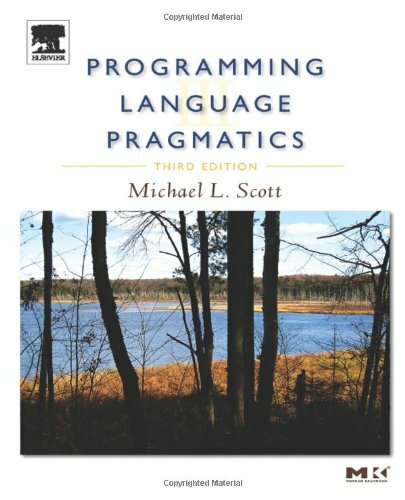 Programming Language Pragmatics is the most comprehensive programming language textbook available today. 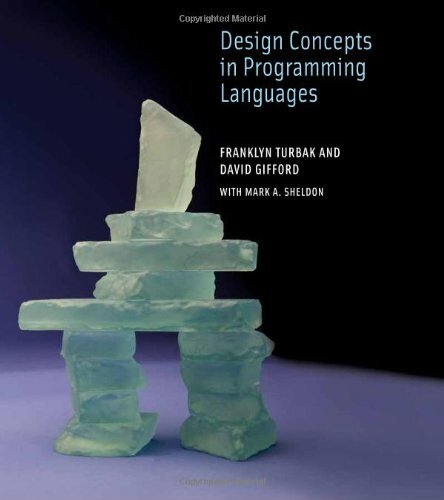 Taking the perspective that language design and language implementation are tightly interconnected, and that neither can be fully understood in isolation, this critically acclaimed and bestselling book has been thoroughly updated to cover the most recent developments in programming language design. With a new chapter on run-time program management and expanded coverage of concurrency, this new edition provides both students and professionals alike with a solid understanding of the most important issues driving software development today. Classic programming foundations text now updated to familiarize students with the languages they are most likely to encounter in the workforce, including including Java 7, C++, C# 3.0, F#, Fortran 2008, Ada 2005, Scheme R6RS, and Perl 6. New and expanded coverage of concurrency and run-time systems ensures students and professionals understand the most important advances driving software today. Includes over 800 numbered examples to help the reader quickly cross-reference and access content. With references to dozens of programming languages, from Ada to Turing and everything in between (including C, C++, Java, and Perl), this book is a truly in-depth guide to how code is compiled (or interpreted) and executed on computer hardware. Early chapters tend to be slightly more theoretical (with coverage of regular expressions and context-free grammars) and will be most valuable to the computer science student, but much of this book is accessible to anyone seeking to widen their knowledge (especially since recent standards surrounding XML make use of some of the same vocabulary presented here). The book has a comprehensive discussion of compilation and linking, as well as how data types are implemented in memory. Sections on functional and logical programming (illustrated with Scheme and Prolog, which are often used in AI research) can expand your understanding of how programming languages work. Final sections on the advantages--and complexities--of concurrent processing, plus a nice treatment of code optimization techniques, round out the text here. Each chapter provides numerous exercises, so you can try out the ideas on your own. Well written and organized text with in depth history and explanation for Programming Language Pragmatics. I am currently using this book for a class in programming semantics.The book is clear in its explanations and diagrams.I also like the additional content on the CD... this is the first book CD that I have used more than once!In my opinion great book. kinds of practical details. This book moves too fast for that. Every debugging engineer needs to know how the code is interpreted or compiled. Debugging complex problems or doing memory analysis on general-purpose operating systems often requires understanding the syntax and semantics of several programming languages and their run-time support. The knowledge of optimization techniques is also important for low-level debugging when the source code is not available. 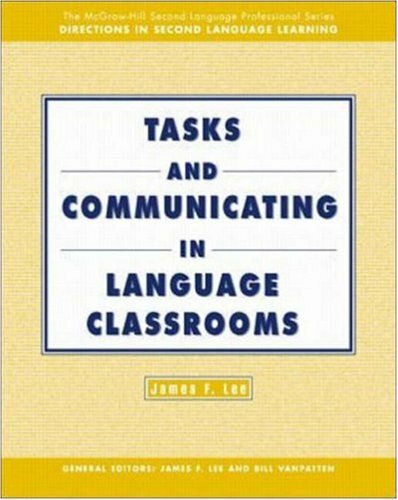 The following book provides an overview of all important concepts and discusses almost 50 languages. I read the first edition 6 years ago and I liked it so much that I'm now reading the third edition from cover to cover. I enjoy the book very much. The author gives an over all introduction to the basics of the programming languages. It does not, however, dig deep into any specific area. To master in a specialized subject, one will have to seek help from other books. As the author has stated, to learn all the subjects the book is covering, one will have to spend years (taking different courses in computer science). This book has include all the material to give an overall view of the big picture and the students are suppose to learn the material in 2 semesters. 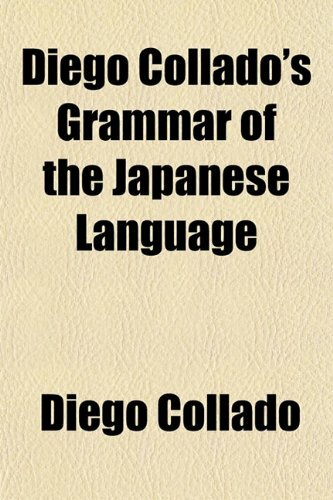 This is a translation of a 16th century Latin grammar of Japanese. (This isn't even the good 16th century Latin grammar of Japanese; this is the shorter one summarized by someone stuck in the Latin model of grammar.) If what you are expecting is a modern grammar, look again. If you want a view into the how the 16th century Jesuits described Japanese, this is just the book for you. "...this book goes beyond the online documentation to clarify and amplify the original standard and describe its implementation.... the single source programmers, language and tool designers, and library and VES developers need to render the CLI and the CLR fully comprehensible." This is not just a reference guide (although it is a very good one). It is also (due to the annotations, often funny) that give you insight into the 'why' behind thing like naming, design decisions, things that were internally debated that we would not normally know about, and in general you come away feeling like you were there creating .NET. I find it required reading and often use it as a reference. 5 stars. An amazing read. 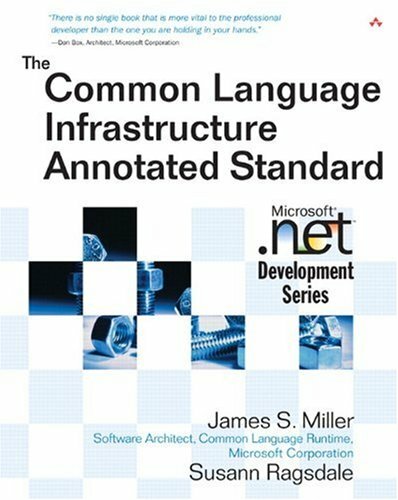 Well, you know it's a winner b/c it's in Addison Wesley's Microsoft .Net Development series.Like their Hejlsberg title, this is pure reference.However, there's a lot to it (almost 900 pages in total) and EVERYTHING in the CLS is covered here. It's very technical, and definitely not a cover to cover read, but there are many good examples and if you need a quick reference for any topic in the Framework, this book is a must have. When Microsoft released its .NET platform, it attempted, and is attempting, something quite audacious. It is putting forth a programming environment whereby you could combine modules written in different languages, without recompiling, let alone rewriting. Arguably, Microsoft set itself a harder task than did Sun with java. Along this road, as the book describes, a standard arose - the Common Language Infrastructure. It describes a Virtual Execution System and what type of executable code can use it. So a version of Pascal, say, that wanted to run on a VES would need to pass the compilation rules of a Pascal compiler that adhered to CLI. An analogy might help. In some rough way, you might consider CLI + VES to be like a java virtual machine, and the choice of a language to use atop CLI to be like running java under its jvm. Granted, this is crude, but many readers are probably unfamiliar with CLI, whilst having more acquaintance with java. Warning. The book may be heavy sledding for most. The main audience is compiler writers and language developers. Daresay that even experienced developers may not usually deal with a language at this level. A slight irony is that CLI is meant to decouple programmers from any specific platform, which is why Microsoft pushed it over to a standards body. But the most developed instantiation currently appears to be .NET, which is inextricably interwoved with Microsoft's operating systems. .NET, unlike Java, is an implementation of an ECMA and a ISO standard. 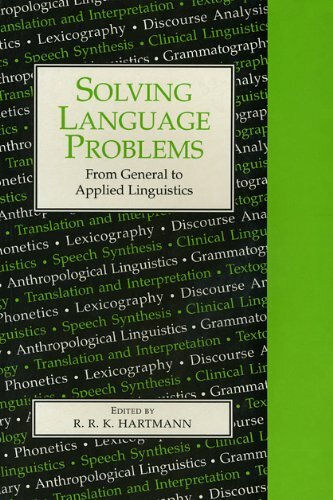 The combination of a clearly written survey of the key areas in linguistics, together with analysis of recent problem-based developments in the field, make this book the ideal introduction to applied linguistic studies. There is also a detailed bibliography and a terminological index. This book will be useful to undergraduates, and their professors, in the field of linguistics and applied linguistics. It also provides a straightforward guide to the subject for postgraduates studying linguistics as part of courses in English and modern languages; psychology; lexicography; and computer science. Choice Outstanding Academic Title, 2009. Hundreds of programming languages are in use today—scripting languages for Internet commerce, user interface programming tools, spreadsheet macros, page format specification languages, and many others. Designing a programming language is a metaprogramming activity that bears certain similarities to programming in a regular language, with clarity and simplicity even more important than in ordinary programming. This comprehensive text uses a simple and concise framework to teach key ideas in programming language design and implementation. 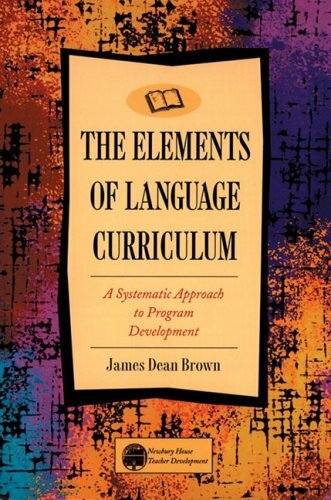 The book's unique approach is based on a family of syntactically simple pedagogical languages that allow students to explore programming language concepts systematically. It takes as its premise and starting point the idea that when language behaviors become incredibly complex, the description of the behaviors must be incredibly simple. The book is about various concepts encountered in various kinds of programming languages: denotational and operational (BOS/SOS) semantics, issues of state and control, type systems, modules, modeling effects and compilation. Every concept is introduced by defining the semantics of a language that has this concept and exploring the design dimensions and issues of this concept and language. Concepts are gradually accumulated, and by the time you reach the chapter on modules you've got a CBV language with records, mutable state, polymorphic algebraic data types, a System F type system with type inference and a hint ofdependent types, abstract data types and first-class dynamically loadable modules. The tools used for description are of course the good old denotational and operational semantics and typing judgements and derivation trees; but each element of those is clearly and succintly described in text; it happens to me all the time that I am reading a type reconstruction algorithm and wondering, "why does this rule have that restriction?" and it immediately turns out that in the next paragraph, the authors focus attention on why this rule has that restriction; just like if they were reading my thoughts. That's why this book feels very comfortable to me: I am absolutely sure that I won't encounter a point where I am lost and buried under the notation; but there is also not a single boring moment. - How powerful records are, and of what use are operators like "conceal"
That's where I finished my reading for now. The remaining looks even more intriguing; for example, I don't (yet) know how functional languages are compiled and how register allocation is done. I'm afraid to sound like a salesman, but this is absolutely the best-written technical book I have ever seen in my life, and probably the most influential one for me, excluding maybe SICP. If you want to pursue PL in any detail, you might as well buy this book now because very soon most schools are going to start using it/recommending it as a text in grad-level intro PL courses. I used Winskell in grad school and had forgotten most of it. This book is definitely more accessible and covers a lot more material and is much more up-to-date with current research. It's a lot of fun to read and I predict its going to become *the* book in its field very shortly. you can find many more sub-elements to be taken into account. The Turkic languages are spoken today in a vast geographical area from the Balkans to the Arctic Ocean and from South Iran to China. There are currently twenty languages in the group, the most important being Turkish. This is the first reference book to bring together detailed discussions of the historical development and specialized linguistic structures and features of this vast language family. Each chapter contains modern linguistic analysis with traditional historical linguistics, allowing for easy typological comparison of the language. 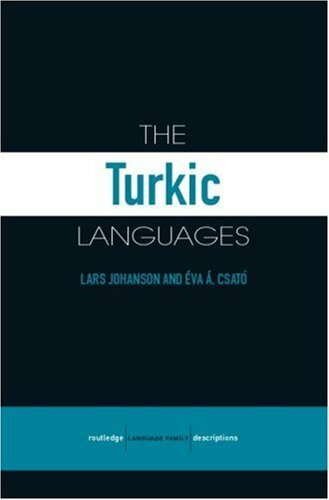 This book is like a big piece of candy for anyone interested in the Turkic languages. Routledge's Language Family Descriptions series offers single-chapter summaries of the grammars and lexicons of the major members of a family, and their Turkic volume published in 1998 continues the tradition with strong contributions from the leading Turkologists of our time. There are six chapters on the family as a whole: The Speakers of Turkic Languages (Hendrik Boeschoten), The Turkic Peoples: A Historical Sketch (Peter B. Golden), The Structure of Turkic (Lars Johanson), The Reconstruction of Proto-Turkic and the Genetic Question (Andras Rona-Tas), The History of Turkic (Lars Johanson) and Turkic Writing SYstems (Andras Rona-Tas). The contributions of Johanson and Andras-Rona Tas are extremely helpful for understanding the isoglosses which divide the Turkic family into its various subfamilies, and they give a good overview of the controversies on the reconstruction of proto-languages. 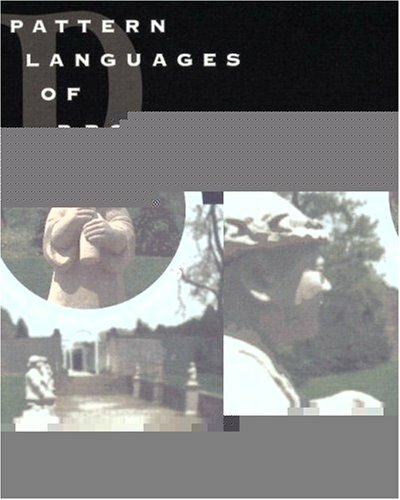 Then there are single chapters on each language or, in a few cases, collections of unstandardized dialects. These are Old Turkic (Marcel Erdal), Middle Kipchak (Arpad Berta), Chaghatay (Hendrik Boeschoten and Marc Vandamme), Ottoman Turkish (Celia Kerslake), Turkish (Eva A. Csato and Lars Johanson), Turkish dialects (Bernt Brendemoen), Azerbaijanian (Claus Schonig), Turkmen (Schonig), Turkic languages of Iran (Gerhard Doerfer), Tatar and Bashkir (Berta), West Kipchak languages (Berta), Kazakh and Karakalpak (Mark Kirchner), Nogay (Eva A. Csato and Birsel Karakoc), Kirghiz (Kirchner), Uzbek (Boeschoten), Uyghur (Reinhard F. Hahn), Yellow Uyghur and Salar (Hahn), South Siberian Turkic (Schonig), Yakut (Marek Stachowski and Astrid Menz), and Chuvash (Larry Clark). There's also a chapter on the Turkish language reform written by Bernt Brendemoen, though I feel that Geoffrey Lewis' The Turkish Language Reform: A Catastrophic Success is the best popular introduction to the affair. I should also note that Marcel Erdal's presentation of Old Turkic is vastly expanded in his later monograph A Grammar of Old Turkic (Amsterdam: Brill, 2004). Pimsleur, Assimil, Teach Yourself, or LIVING LANGUAGE? As an experienced language learner, I can honestly say that the Living Language series is, by far, the best on the market. Specifically, the Living Language Ultimate series and Spoken World series offer an entertaining and effective approach toward language learning. I have found that this product succeeds where others seem to have failed. For example, the audio for the Assimil series is terrible, as the speakers talk at such a slow pace that there's a good chance you'll be waking up several hours later. The reading and writing aspects are other areas in which courses such as Teach Yourself and Pimsleur have dropped the ball. Pimsleur offers zero text and hence, is absolutely useless to anyone who is serious about learning the language. While Teach Yourself does offer text, the authors for some reason or another have decided that it would be better to use romanization. Living Language is the most complete course I have found as both the written content and the accompanying audio are excellent. Here, the authors have taken a sensible approach, using Hangeul with the aid of transliteration in the first few chapters, and then introducing the text in Hangeul. The conversations also arelively, natural, and above all, practical. You will find that every chapter is filled with content that is pertinent, useful and applicable to actual conversations. Unfortunately, for Rosetta Stone fans, you will not find sentences such as "the octopus is behind the library". My only complaint is that the course could be longer. I would also recommend supplementing the material with a dictionary and grammar workbook. Even so, the course is great. If I were to any one product, Pimsleur (trash), Teach Yourself, or Assimil (although the latter two are also excellent in their own right) I would recommend this one. First, as an introduction, I am not an individual who picks up a book and latches onto a foreign language.I have not fluent in Korean (yet), but am working on improving my proficiency.I used this course to get my feet wet through informal study.I have used phrasebooks, Before You Land, and Rosetta Stone resources before but prefer the type of no-frills, no-nonsense instruction offered by this course. Packet consists of 6 audio CDs and a book - all are user friendly and easy to understand.I especially like how the CDs are indexed with relatively short lessons when compared to other resources.Explaining further, if you want to review a lesson or a specific phrase, the sections are small enough to quickly fast-forward or rewind to the specific point on the CDs.The vocabulary building CD is great to keep in the car to brush up while commuting around town. I highly recommend this for school and public libraries, and would recommend this to American students who would like a 101-style introduction to this beautiful but intimidating language. I want to learn Korean in the order of reading-writing-speaking-listening. Most books appear to be aimed at the the person who will soon be traveling to Korea and needs expressions for finding a restaurant. This book focuses on grammar, which is exactly what I was looking for. As I progressed through it, though, I became increasingly disappointed. It is literally riddled with errors, some so obvious someone who knows nothing of Korean could still pick up. I mean dozens of errors, and they are more frequent as the book goes on. I'm on the last chapter, which I'll plow through, and then head to the Tuttle book. I'm a civil engineer. When a design is at the 60% point, we submit the drawings to the client for review. The intent of the design is there, including important details, but is not buildable -- too many gaps. If the book didn't have errors, it would be at the 60% point -- not usuable but providng a good idea of what the final product should look like. It used to be that anyone learning Korean had to go on a treasure hunt to find learning materials.Now that Korea is emerging as a global economic player, learners of Korean are in the enviable position of having too many language learning choices. Living Language products are sold as no-gimmick learning materials.There are no tricks, no cuteness, just you and the language.The new World Languages series features a fairly thin book and a set of six CDs. First, the good.The CDs are excellent.The Korean speakers are clearly understandable and they speak at a pace that is easy for a non-native to follow but not so slow that they sound odd.Three of the CDs are meant to be used with the book, the other three are meant as refreshers that can be used without the book. 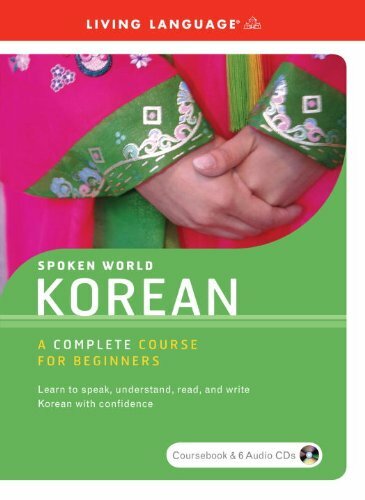 The book teaches the Korean script (Hangeul) immediately.This alone sets it apart from many of the major Korean language releases.Learning the Korean alphabet is easy and essential to full fluency.The first few lessons have Romanization but it disappears later in the book. There is good emphasis on casual speech, a topic notably lacking is most Korean learning material.Most books confine themselves to -imnida and -saeyo endings.This book teaches casual speech fairly early, an excellent move.After all, making friends is an important part of language learning and who wants to talk to their friends the same way they would talk to their boss or grandmother? The exercises are also good.The suggestion of starting a journal in Korean is a wonderful idea and has helped me greatly.Admittedly, my journal does not make for very gripping reading (mostly concerned with work, weather and what I bought today) due to a limited vocabulary, but it gives great practice in actually using Korean.And your beginner's mistakes will be a fun thing to laugh about with your Korean speaking friends once you become fluent. Now for the not so good.The book is very light on the grammar.Irregular verbs are skimmed over and conjugation is not as well covered as I would have liked.I found myself constantly referring back to my other two Korean books, Beginner's Korean (Hippocrene Beginner's Series) and Elementary Korean (Tuttle Language Library) to find answers to very basic questions. The vocabulary section is anemic.You are asked to make a Korean journal but they don't include the word for journal?Hmm. So, it it worth the money?It depends on your finances.If you are on a budget, I would recommend one of the two books mentioned earlier.They are both good as stand-alone textbooks.If you have the money to spend, the recordings are well worth the price of the set.The culture notes included in the book are also good.It will make a worthy addition to your Korean language bookshelf and will supplement your other material. I would NOT recommend purchasing this set as your lone Korean language learning material.The grammar and vocabulary sections are just too thin to be of much help to a beginner. Pattern Languages of Program Design is the first ofthree volumes of groundbreaking research on patterns, ranging fromsmaller-scale design patterns to larger patterns useful for softwarearchitecture and process engineering.Early chapters look atframeworks and components for engineering solutions to particulartypes of problems at a higher level, such as looking at patterns as"tools and materials" that can be used to solve problemseffectively.The guide also discusses how to use patterns withinterpreters and client-server systems. Distributed processing is a difficult and exciting area of computing,and patterns presented in Pattern Languages of Program Designcan help solve some of the problems of scalability, concurrency, andtransaction management. These patterns include several businessobjects for managing transactions and accounts, as well as foroptimizing queries across distributed systems. The middle section of this text applies patterns to the softwareengineering process itself and several papers (including oneintriguingly called "Caterpillar's Fate") show how thepattern movement can benefit software engineers and managers. Furthermaterial looks at the process of defining and implementingpatterns. (Discovering patterns is only a start; learning to reusethem effectively is another challenge.) Final chapters look atpatterns that manage state and events for real-time and behavioralsystems. Well, suffice it to say the one review here, aside from having nothing to say, could not be farther from the truth. I still open this book all the time. The whole series of PLoP books are immensely useful texts. To tell the truth, these compilation books of papers are, if they are good, in their own realm, far above what you will get from one author. Too much of the computer press turns out the 'work' of exhausted people who are clearly trying to spread a couple ideas across a whole book. Even the Gang of Four book is really a compilation of sorts. Anyway, this book has many good things in it. Anyone who is interested in Patterns should have the whole series of PLoP books. Average book with a sub-par printing. For a book that costs 54 dollars, I don't feel bad when I say that it's not in its favor to have pages that look like they were copied with a really bad coping machine. On the other hand, the content is OK, it's average, I think McGrawHill has a variety of different books centered around the same theme and Lee is the series editor ("Directions in Second Language Learning"). The book is concise and the chapters are short, but the only real reason you would want this book over the others is because it's on the syllabus. Short version: Horrible printing, average content. Richard Mansfield has written so many articles in Compute! on the subject of machien language he could have esaily writen a 9000 page book. What he did write was a very good overview of the basics of Machine Language. The book starts of with an introduction to how computers work, what Binary and Hex are, and how they relate to programing. All the basics are covred with enough detail for a beginer to understand what they are doing. Next the subject of Monitors, and Aseblers is discussed. Followed by chapters on the instruction set, and a very usfull chapter on basic comands equivelnet ML instructions. If you know your way around a computer you will definatly have a good understanding of the fundamentls and be able to code your own ML programs with this book. On the down side Mansfield chose not to cover the BCC and BCS branch instructions, as well as anything other than the most fundamental math.BIT was also hardly mentioned. 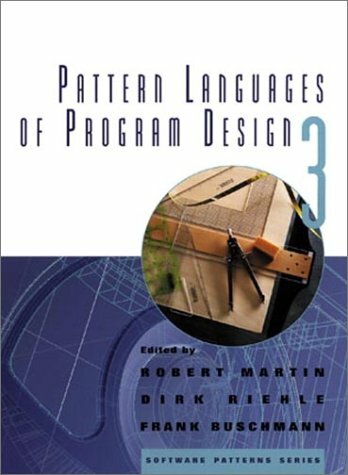 The third book in a series, Pattern Languages of ProgramDesign 3 discusses how to catalog software patterns, which arereusable, higher-order designs. This volume presents over two dozenwhite papers on newly "discovered" patterns within a widevariety of contexts. The editors have grouped these patterns by topicso you can choose what interests you. Each pattern profile features ashort introduction to show you what each pattern might be good for. "General purpose" design patterns include the Null Object,the Manager, and the Product Trader patterns, and another sectionimproves on the Visitor pattern. These patterns allow classes toborrow the methods of other classes without using inheritance. Some ofthe most challenging patterns in this book are good for distributedprocessing, including Acceptor and Connector and ObjectRecovery. Basic research in object-oriented design (OOD) is apparentin the Serializer pattern, which implements persistence for objects,another unusually difficult aspect of object design to getright. Another useful section introduces "domain specific"patterns--or patterns that solve particular real-world problems--withseveral patterns for transportation systems and fire alarms. While patterns are an inherent part of the human experience, using them in software development is a recent phenomenon. The seminal event was the publication of the book, "Design Patterns: Elements of Reusable Object-Oriented Software", by Erich Gamma, Richard Helm, Ralph Johnson, and John Vlissides. A Group so well-known that they are commonly referred to as the "Gang of Four," or GoF for short. A design pattern is a metamodel for a solution. However, being a solution to a set of conditions common to many different problems, design patterns are very hard to learn. Even the GoF admit this in the preface of their book. "Don't worry if you don't understand this book completely on the first reading. We didn't understand it all on the first writing!" There are two fundamental reasons for this. The first is that the identification of a design pattern requires that one recognize a common abstraction among a set of abstractions. There is principle about great mathematicians that applies here. " The great mathematicians find analogies among analogies." The second is that our brains are very efficient at finding patterns. Unfortunately, those found are often ones already cataloged. Presented with a partial pattern, our minds automatically do a great deal of curve fitting to create a complete image matching one already known. Therefore, it is all too easy to find a pattern that we are familiar with, rather than the one that is present. Making the subject even more complex is that patterns are not distinctive entities. Some are constructed from other patterns, others are instances of a specific pattern, and many patterns share common characteristics. Being of recent vintage, there is no well-defined language available to describe patterns. Furthermore, not all patterns currently in use have been explicitly described. As the name implies, the book being reviewed here is another volume in a series of collected works. In this case, the components are the best papers from PloP '96 and EuroPloP '96. They are of course of the highest quality, which means that intensive study is a precondition to understanding the book. Many new patterns are described, although at times one gets the impression that the word pattern is being overused. Without clear guidelines as yet for the precise use of the word in this context, this is expected. Very few of the patterns are described at the computer-code level, which is very good. Computer code, even when it is kept generic, eliminates some of the abstract qualities of what a pattern is designed to do. The pattern descriptions are given in the generic form: Intent, Motivation, Applicability, Structure, Participants, Collaborations, Known Uses, and Related Patterns. This format allows for an understanding of all facets of the pattern, from the why of creation to how it fits into the dictionary of known patterns. The range of problems solved by these patterns is substantial. Some sample patterns are: Null Object, Bureaucracy, Bodyguard, Serializer, and the Selfish Class. In the final chapter, patterns on Patterns, an additional, important step up the metalevel hierarchy is taken. A definition and description language are described, although sentences like, "Patterns for making patterns Understandable contains patterns that capture techniques for making your patterns and pattern languages easier to read understand, and apply," require a great deal of thought. Patterns provide a series of levels of design structures that expedite the reuse of solutions, with code reuse being a direct consequence. As more patterns are discovered and refined, and the description language is formalized, they will become the "gold standard" of software development. Learning what they are and how of implement them will become a highly valued skill. There are many nuggets to be mined from this book. However, be prepared to go slow and occasionally be discouraged. This book has quite some prerequisites for its potential readers. You should have a working knowledge of the patterns of the too basic books ("Design Patterns" by Erich Gamma, Richard Helm, Ralph Johnson, John Vlissides and "Pattern-Oriented Software Architecture" by Frank Buschmann, Regine Meunier, Hans Rohnert, Peter Sommerlad, Michael Stal). It is helpful to have the too previous conference books as a reference nearby. Yes and you have to cope with C++ (when did you use it last time) and Smalltalk. If you are happy with this, you get rewarded by a rich set of ideas and insights. The book just draws you in. This is a conference book by many authors. But due to their shepherd and writers workshop efforts the book nearly reads like being written by one author/author team. The level is excellent. Reading this book is a nice way to spend your time.